Along with the 2017 KTM RC390, we also got a few laps on the 2017 KTM RC200. The big changes to the RC200 are cosmetic. The new fairing graphics are bigger and chunkier and I do really like them. That aside though, the motorcycle has not changed in any significant way. The engine remains a free-revving unit that does its best work right on top of the rev band and the gearbox has to be hustled for performance. 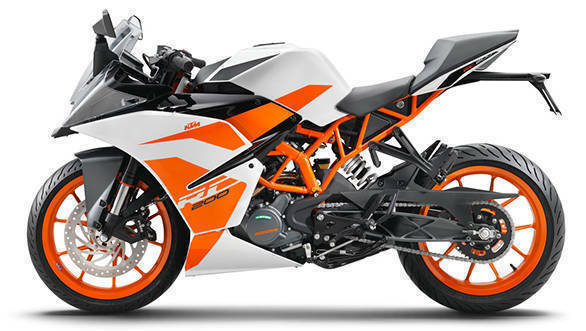 Handling is very sweet and the KTM RC200 makes the full use of its tyres. The weak spot remains the brakes. The front brake on the test bike felt like it lacked both bite and power. After the sharp and hard RC390 brakes, the RC200 felt like it ran on in the corners. After recalibrating, you realise that the RC200 requires a lot more lever effort to produce effective braking which is something KTM should have fixed. 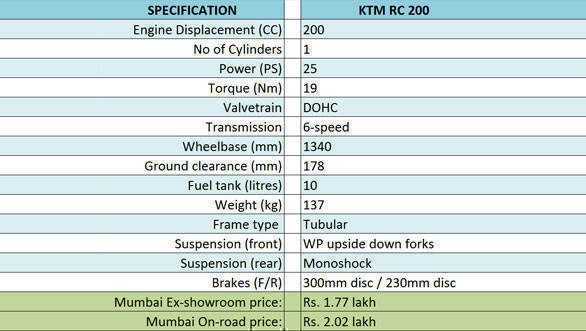 The 2017 KTM RC200 is on sale now alongside the KTM RC390 and it also seems a minor revision in price. For your money, you get a very good natured motorcycle that will show you almost 130kmph on the clocks while offering classy-friendly handling and a new design. However, given that the RC390 is an affordable motorcycle, has more power and gets standard ABS, we would suggest that if you can, get the big one.